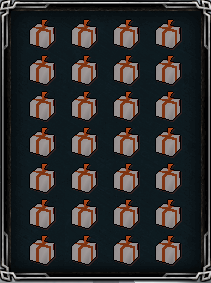 Thread: Christmas Quest, Box & Boss! I hope every one of you guys have been enjoying your holiday's, most notably Christmas! It's a time for family & giving. Although Ely is a bit behind schedule due to a lot of changes recently, we've still managed to wrap something up for you guys! a limited-time-only Christmas Mystery Box & a first introducing of some brand-new holiday items! In this Christmas-exclusive Quest, you need to speak to the Queen of Snow who tells you the tale of Evil Santa! A sure Christmas crisis is at bay when this Evil Santa plans to remove the joys of Christmas from all of Ely! You will find the Queen of Snow next to the Home bank. Following the first conversation with her you will need to defeat him! With this Evil Santa boss, you don't need to prep with Max Gear & tons of supplies. This is an "AFK" Boss with a max hit of 1. Following the completion of defeating Evil Santa, speak to the Queen of Snow to receive your reward. Following the completion of the Christmas Catastrophe quest, you will gain constant access to this Boss. relax, hangout & group-AFK-Bossing while gaining a shot at some of the exclusive Christmas items we've introduced! Also, there is guaranteed loot for ALL player's who damage the boss during the kill! Don't sleep on Evil Santa! He is dropping some extremely-exclusive, super-duper rare loots! 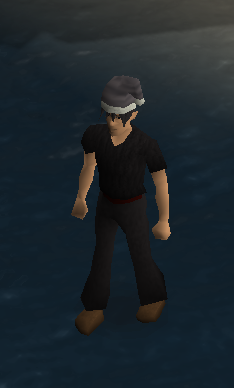 Exclusive only to the Evil Santa Boss, one among many, the Anti-Santa Hat! This Christmas Mystery Box gives you a very LIKELY shot at bunch of exclusive, limited-time-only items! This box will only be available for purchase in the Donor Shop(s) for approximately 30 days from now! It is being listed at 100EP per Box. This box includes a MUCH higher "Very Rare" table drop rate! here is a few of the item's & outfits you can look forward too.. Welcome Sparkles into your life! The Christmas Pet.. 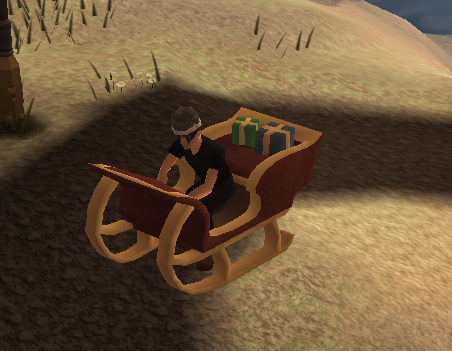 Among the most common items to obtain in this Box, the full Santa Suit! The never-before-seen Anti-Ghost Christmas Outfit (goes great with the Anti-Santa Hat)! I'll show you all ONE LAST ITEM before saying you got to discover the rest for yourself..
Limited-time Box will ALL be worth at least, if not MORE than the 100EP you spent to purchase the box. Minus ONE troll item you won't want.. can you guess what it is? Last edited by Lation; 12-24-2018 at 05:13 PM. Great stuff boys! Happy holidays everyone! Glad to finally push this out for you all! Huge thanks to Matt and Splash for helping me! Long overdue Merry Xmas fellas!